How does a CEO inspire their team? 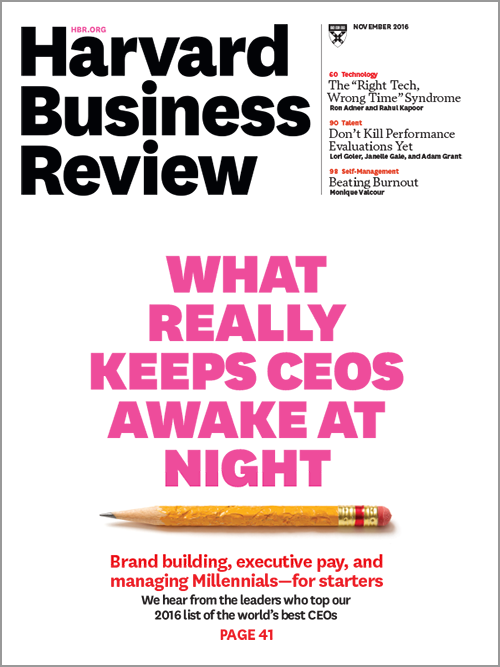 The November 2016 issue of Harvard Business Review featured a different question, “What really keeps CEOs up at night?” Much of the discussion came down to culture and teams, and, more specifically, how the CEOs approach to leadership can unlock the power of the company’s human capital. The article featured CEOs of major multinational corporations: Lars Rebien, CEO of Novo Dordisk, WPP CEO Martin Sorrell, and Pablo Isla, CEO of Inditex. Each of these businesses have tens, even hundreds of thousands of employees; the scale of these businesses is simply astounding to consider. Yet, the people side of the business is what popped up in the discussion as a major opportunity. The interviewer asked each of them the following question: Each of you have been running your company for a long while. I assume your cultures are constantly changing. Has your leadership style evolved to keep pace? Isla identified the core issue facing so many business executives today: how can a CEO be both rational (run the business based on data) and inspiring (lead with emotion)? In today’s workplace, rational decision-making is critical, but leading from the heart has become an imperative. Teams, no matter the size, want to be inspired and to follow a vision and purpose that’s bigger than a financial targets. Who is our customer? Can your team members explain who your customers really are? Have you as CEO taken them for a walk in your customer’s shoes? Can they envision a “day in the life of our customer” and feel the core issues that your product or service addresses? Without this empathy, your delivery and your service will be less than it could be. What value do we create for them? A business model can be defined most simply as the process of converting customer value into cash flow. You’ve probably communicated plenty about the financial results, but do your employees know how you deliver value to the customer? Have you explained to them how what they do every day translates into time savings or cost savings for your customer base? Do they understand how their role ties into that value creation? Why should they pick us, and not our competitor? Unless you’re fortunate enough to have a near monopoly on your market, your customers have alternatives. Does your team know why customers choose your company over the next best option? Do they have a clear sense of what makes your business uniquely qualified to win the business? If we execute this vision, where will be be in ten years? Jim Collins called it a BHAG – a big, hairy audacious goal – in his business classic, Good to Great. Have you established a goal or target ten years into the future that’s so big that it’s scary, but just believable enough to be compelling? Microsoft’s BHAG of “a PC on every desk and in every home” was an outrageously aggressive goal, but it provided the inspiration that powered that company’s actions in the early days. Ten years after setting that goal, they had achieved it. What keeps me up at night as CEO includes all the expected answers – market dynamics, competitive threats, changing economic conditions, and the like. But what I’m most concerned about, each and every day, is whether or not my team knows the answers to these five critical questions. Without this clarity, we’re heading for a result far less than what we could otherwise achieve.